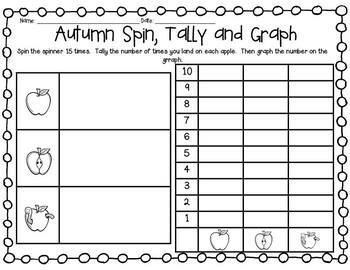 This unit includes 5 math and 6 literacy centers with a cute Fall theme! No witches and Jack-O-Lanterns here! 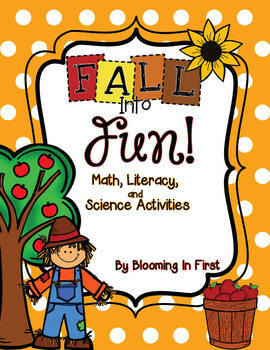 These activities can be used anytime in the fall. The math activities will help your students practice their number sense and place value skills such as adding and subtracting 1 and 10, counting tally marks, greater than/less than, and ordering numbers. The Literacy activities cover skills such as counting syllables, blending sounds, blends, Dolch sight words, and punctuation. There are both color and blackline versions of EACH activity available in this pack! 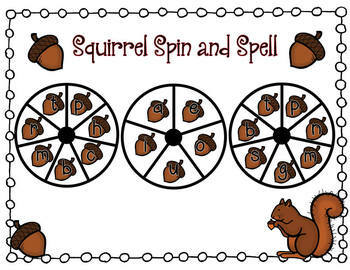 *These two activities are also available separately in my Fall Sight Word Activities pack. 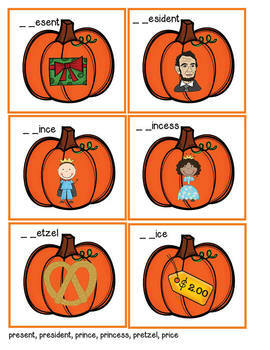 Exploring Pumpkins- Students will complete activities using their own pumpkin or a class pumpkin. Activities include measuring their pumpkin, counting seeds, using tally marks to count lines on their pumpkin, adding pumpkin seeds, representing a number using base ten, sink or float, exploring a pumpkin using their five senses, and a pumpkin life cycle activity.